America’s legendary singer-songwriter Don McLean returns to the UK in May for a select number of dates in support of his new album, Botanical Gardens, out in 2018. The folk-influenced singer-songwriter is best known for his songs Vincent (Starry Starry Night), Crying, Castles In The Air and the iconic American Pie. Since first hitting the charts in 1971, Don has amassed over 40 gold and platinum records worldwide and in 2004 was inducted into the Songwriters’ Hall of Fame. He has sold-out arenas worldwide, undertaken 14 world tours and has performed more than 4,000 concert appearances. 2011 saw him appear on Glastonbury’s Pyramid stage and in 2012 he was awarded the BBC Folk Music Lifetime Achievement Award. 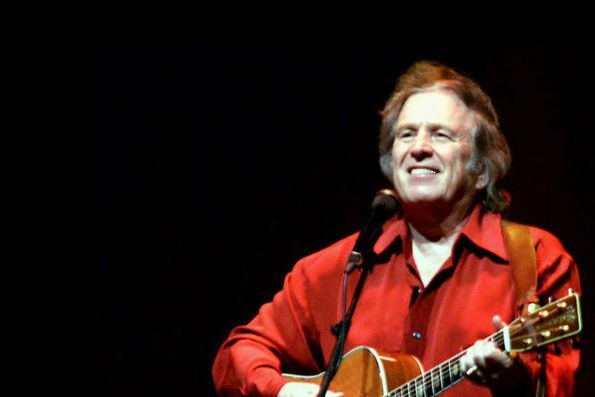 Don McLean is not available to book, please sign up to our newsletter for updates and offers on forthcoming and available shows.